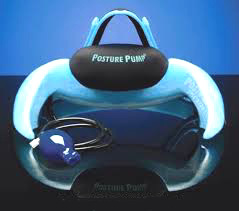 Posture Pump's most comfortable neck model works both the neck and the upper back. 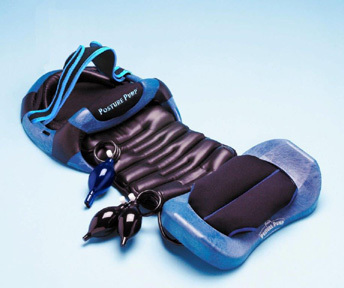 Upgraded to decompress in two areas with even more comfortable corrective deep relief! 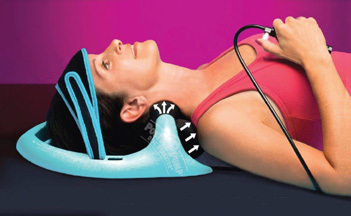 Two uniquely angled EED&REG; air cells* decompress and shape the neck and upper back (hump region) to relieve compressive forward upper body posture. 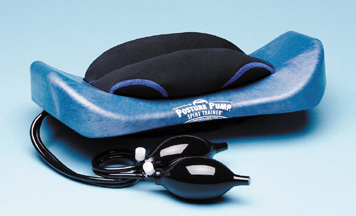 New Comfort Visor gently molds to the shape of the forehead (no chin or jaw contact). 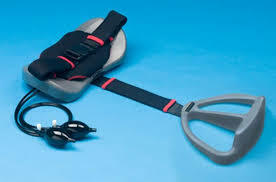 Does not hyper-extend the neck. 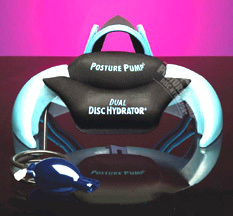 Operating at moderate pressure levels, the Dual provides extremely comfortable disc decompression & hydration while shaping and restoring the proper neck curve.